Yesterday was a busy day! We celebrated two milestones, and we visited a new church super close to home. It was a great day, and we really enjoyed just spending time together as a family and celebrating our love for one another. 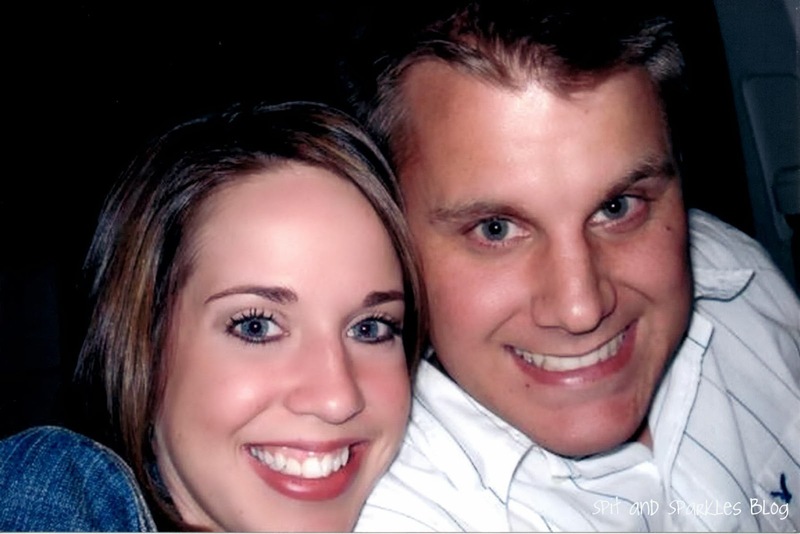 On October 27, 2007, Derrick and I had our first date. He lived in Austin, and I was wrapping up my last year of college in Beaumont. We had met through friends a year or two prior, but at the time, a relationship wasn’t possible. So we remained friends, and one day conversations picked up. We decided we wanted to explore something more, and I am so glad that we did. I traveled to Austin for the weekend before Halloween, and we went hiking, I met his mom, we had pancakes and went dancing. All of that was great, but neither of us will forget the haunted house that we chickened out of going to! It actually wasn’t the haunted house that we were afraid of. It was the part of town that it was in! It was super shady, and we got out started walking toward the ticket booth, then looked at each other and decided that the parking lot was too scary for us! It was a fun, memorable and special weekend. Three years after that first date, we started sharing our special weekend with the first new member of our family, Jeep. We adopted Jeep at the end of the 2009, only knowing that he was about two years old by the vet’s approximation. He was taken in to foster care at the end of October, so we decided that would be his birthday. In 2010, we threw him his first birthday party, and it’s a tradition we’ve continued every year since. It’s nothing extravagant. Just a little treat that he doesn’t normally get. 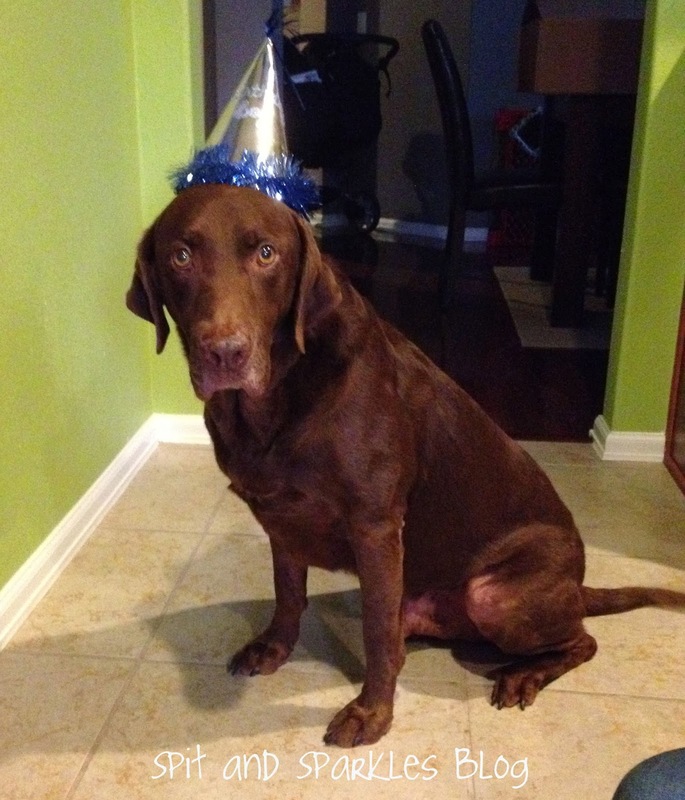 This year, he wore Corbin’s birthday hat, and we gave him boiled chicken for dinner, which he devoured in 10 seconds! Not kidding. I love the relationship that he is building with the twins. Lynley absolutely adores him, and I dread the day that we have to say goodbye to him. Hopefully not for another six years or more! Yesterday, we also visited a new church that we’ve been wanting to learn more about. We have been on the lookout for a new church since this summer after the one we fell in love with decided to move in a new direction. We decided to go in our own direction, and one day as I was driving home, I spotted a church. It’s been there for a long time, but I never noticed it until there was a bright, colorful MOTHER’S DAY OUT sign out front! I don’t normally drive this route home, but God led me that way for two reasons it seems. I’m definitely interested in signing my little ones up for MDO, so Derrick and I decided that while we wait for them to become old enough, 15 months starting age, we’d visit the church and see what we thought about the people and principles. Wordless Wednesday: What a difference a year makes!